Judy Vizzari interviews Carol and Alan Woolcock, from Warrandyte. Carol is one of the organisers of the Warrandyte Food Swap. Today I’m visiting Carol and Alan Woolcock, who live on a large, irregular block in Warrandyte on the north-east outskirts of Melbourne. Their property tops the hill which leads down to Pound Bend in the Warrandyte National Park. It’s close to the Evelyn Tunnel which was excavated in 1870 – a tunnel cut through an elbow of the Yarra River to facilitate gold mining. It’s an area which provides a fascinating glimpse of the endeavour of mid 19thC miners. From the huge deck at the back of Carol and Alan’s house, I see treetops extending north and east towards Warrandyte’s township and the Yarra River. Theirs is a quiet place, set amongst winding roads and bush gardens, and it seems untouched by the traffic in the valley below. A cool breeze wafts through the shade and I hardly notice the summer heat as we settle to chat on their comfortable couches. Carol tells me that they built their home in the late 1960s. Alan adds that they moved there because “the land was affordable” but perhaps there was more to it than that – fresh air, beautiful setting and ‘country’ community, all contributing to a life-style rich in the ingredients prized by growing families. Once, their extended family included themselves, their children and Carol’s parents, but now Carol and Alan are the home’s sole keepers. Carol says she does everything ‘back to front’ and promptly demonstrates by telling a story of her journey from early school leaver to mature age student, a route which culminates in her acquisitions of a Degree in Social Work and a Master’s Degree in Psychoanalytic Child Psychotherapy. Hers wasn’t a normal path but one carved from, I suspect, a headstrong will to do things her way – to feed her curiosity and to employ her intellect and determination to achieve. She grew up in Balwyn in Melbourne’s eastern suburbs in the 1950s and ’60s. Her father, she says, “always had a veggie patch, a compost heap and chickens” and she well remembers how, in the time honoured Australian fashion, he first tended his land by planting “his whole front yard” with potatoes to break up the heavy clay soil. Her life as a working mum and part-time student prevented her from following suit – “there wasn’t much time for gardening”, she says, save a little “tinkering: when she could. It wasn’t till much later that the dormant seed planted in her youth would grow. 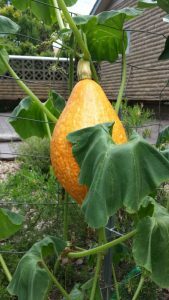 By 2013, Carol finally had time to work on her garden and, ever the student, she decided to complete a permaculture course and to then apply that knowledge to their property. 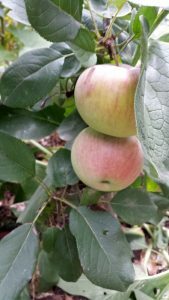 The word, ‘permaculture’ was coined by Bill Mollison and David Holmgren in the mid-1970s: consciously-designed landscapes which mimic the patterns and relationships found in nature, while yielding an abundance of food, fibre and energy for provision of local needs. People, their buildings and the ways in which they organise themselves are central to permaculture. Thus the permaculture vision of permanent or sustainable agriculture has evolved to one of permanent or sustainable culture. See David Holmgren’s website. But plans change – instead, she embraced ‘hands on’ learning by joining the Melbourne permaculture movement. 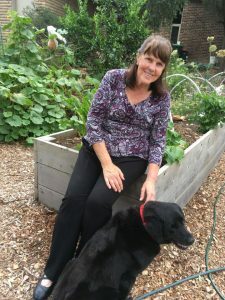 She volunteered to work on several backyard ‘permablitzes’ and, as well as enjoying the camaraderie of the participants ,she learnt about the ‘why’ and ‘how to’ of sustainable gardening. It was, she says, a valuable experience. In May 2013, it was her turn. A team of 30 enthusiastic volunteers descended on her backyard and, over a weekend, transformed it. 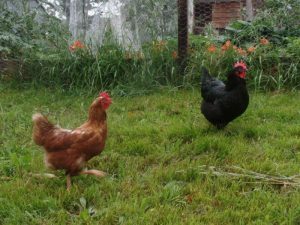 They built a chicken pen with three separate runs, a series of four wicking beds and a perennial garden for asparagus and berries, they planted fruit trees and vines and set up composting and worm farm facilities. 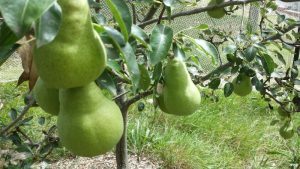 Their permablitz success story is still available on the permablitz website, as is a nice write up about the garden from a subsequent visit in 2016. This family’s delight in their productive, sustainable garden is obvious. Now, we wander down to see the garden at close quarters. I’m struck by its order, its variety of plants and its range of fruiting trees. The chicken enclosure is a delight too – especially the chicken feeder which allows the birds to open its lid to access their feed – a trick Carol taught them … clever girls! She tells me that the four birds are recycled ISA Browns from a local free range egg farm, that they are great egg layers and that, along with Ebony, their black labrador, they are much enjoyed members of the family circle. Experience tells me that our local soils need help, they’re not for the faint-hearted. 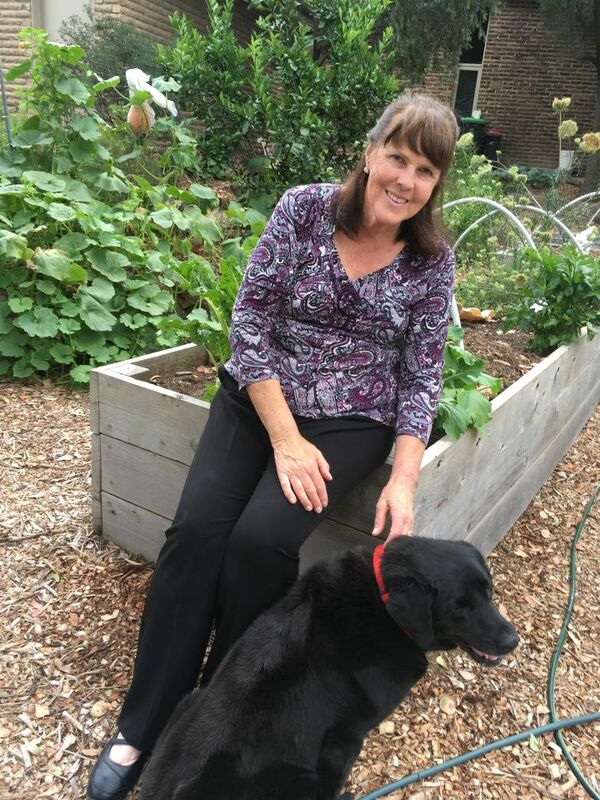 Carol agrees – her initial setup required imported soil, compost and manures. 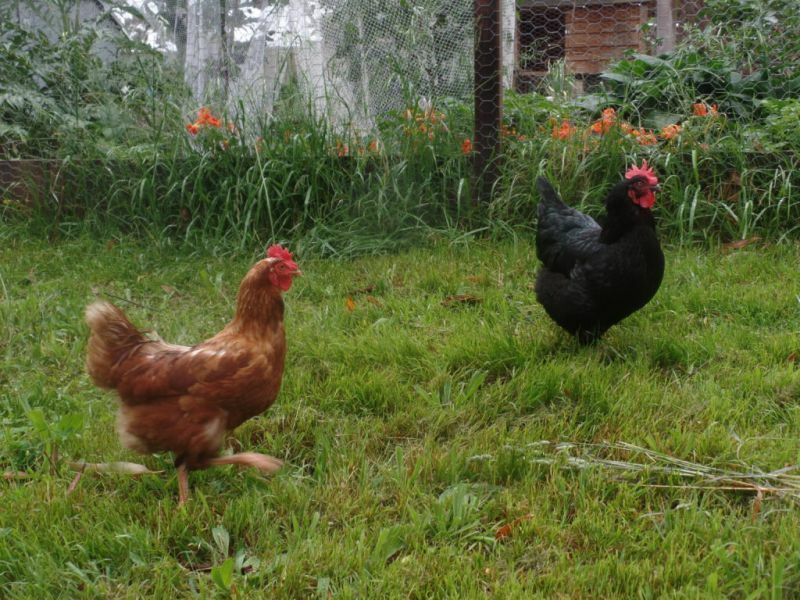 Now, however, seasonal wicking bed top-ups and plots are completed using her own compost, worm juice and the sweepings from the chicken pen, attesting to the success of the sustainable permaculture set-up. Water is provided through a series of soaker hoses set to timers and they are fed from two large water tanks. This is a system that works well – I can see rattlesnake beans hanging free from a mountain of vines, large green tomatoes promising soon to be luscious red, fantastic golden squash, tumbling herbs and beautiful fruit – pears and apples hang beneath protective netting while a variety of citrus, nut and stone fruit trees thrive within and outside the chicken run. There are even perennial ‘walking’ onions, which I find fascinating, this garden resembles an ‘outside’ pantry. But there’s so much more to talk about. For instance, Carol is a guerrilla gardener! 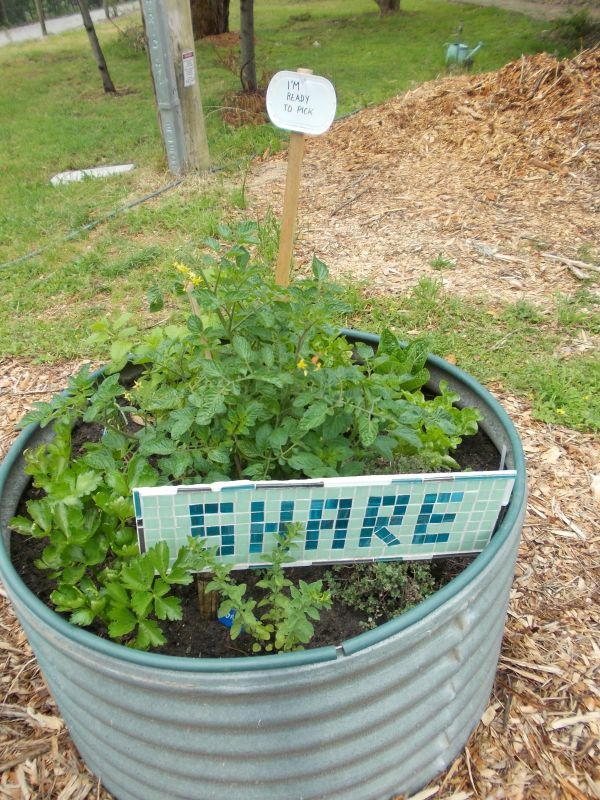 No, she’s not lurking behind the odd eucalypt out on the verge, ready to way-lay passers-by with tales of gardening feats, she’s sharing her homegrown produce and, in the process, providing a focal point for community interactions. What kind of produce? Whatever’s in season. She grows vegetables and herbs in two small, corrugated iron water tanks on the nature strip and complements them with a stand where additional produce, including neighbours’ fruits, can be placed. It seems that the system works well as there’s a lively flow of givers and takers and sometimes the appearance of occasional notes of appreciation. Carol has extended this food sharing theme even further – she’s one of the team who started the Warrandyte Food Swap. As many readers will know, food swappers visit monthly food swap events held all around Melbourne. They bring excess produce to swap and then take others donations when they leave. Simple. Fun. Sensible. No waste – all gain. Carol, along with two friends, first planned the swap several years ago. 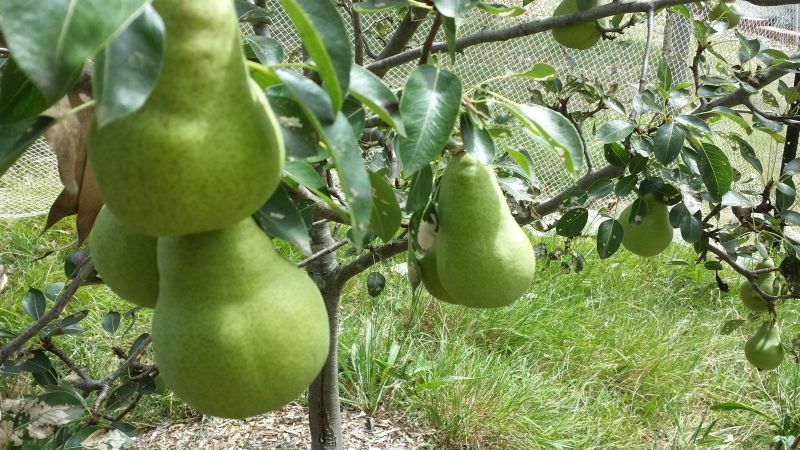 Their idea was to share excess produce by aligning with the regular first-Saturday-of-the-month Warrandyte Riverside Markets and connecting with local makers and growers. The idea took off – they now provide regular swaps where tea, coffee and home baked cakes are offered. They encourage visitors to sit and chat, come and go and to share tales of their gardening and sometimes non-gardening experiences and, Carol says, they’d like to do more – to provide workshops and demonstrations. Not yet though, but they’re working on it. You can find out more about the food swap at their Facebook page or, if you’re in the area, drop in to chat. Carol has another trick up her sleeve – she knits clothes for the needy in her spare time. Hats, scarves and more, all in wool and mostly intricate cabled and patterned designs. She says she only uses woollen skeins – scours the Op Shops for them and now her reputation precedes her – they keep their best wool for her! She shows me a pile of beanies and scarves she has ready to donate, beautiful. I admire Carol’s will to give to her community and envy her organisational skills. Back on the deck we sit, Carol, Alan, Ebony and I and enjoy coffee with Carol’s delicious berry and white chocolate muffins. It’s been a very pleasant visit and, more than pleasant, it’s been informative and inspiring to see and hear of their many achievements. I’m struck by Carol and Alan’s generosity and willingness to share their journey and feel grateful for having been given this insight into their world. As we leave the kitchen, Carol produces a beautiful jar of her own apricot jam, complete with label and looking so professional. It is, she says, Alan’s favourite and he, from nearby, says that “you won’t taste any better”. Without having tasted it, I can’t be certain, but I’m pretty sure he’s right. 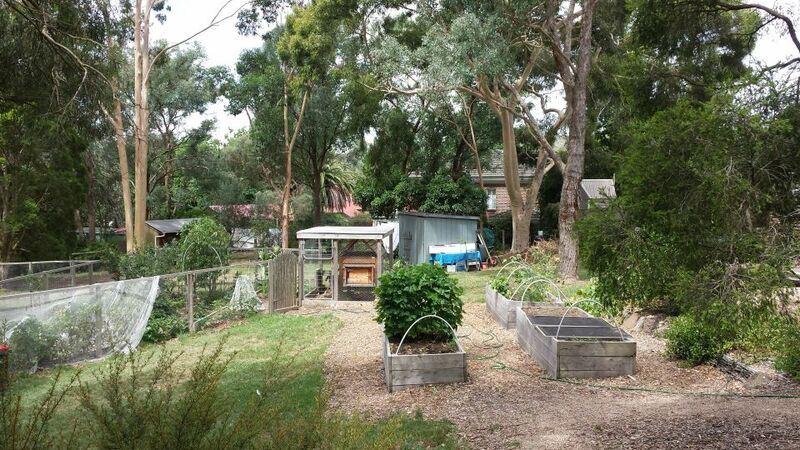 Back home I wander out to my less-than-permaculture veggie patch and start wondering where a chicken coop might fit.